Shabbat is an opportunity for Jews to gather and relax around a lovely Friday night meal. Shabbat@Home invites you to celebrate Shabbat with old friends and new and experience the beauty of Shabbat in a comfortable environment. 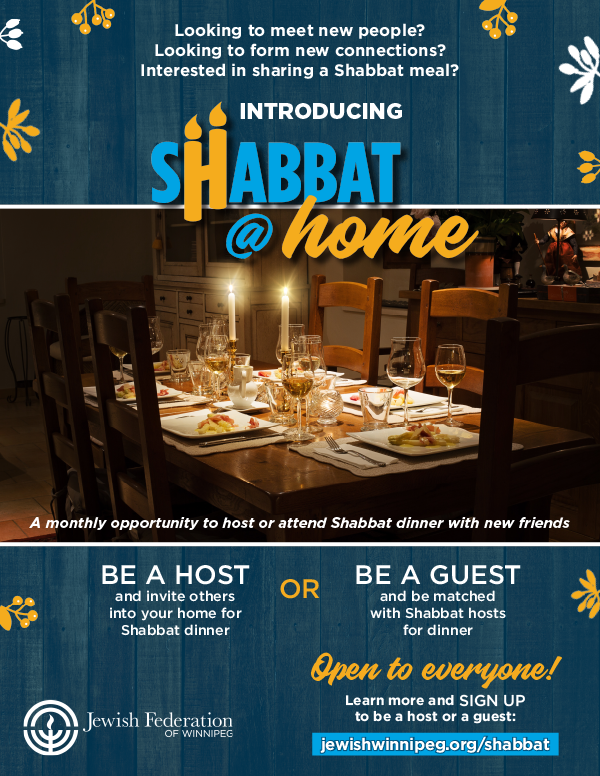 Host a Shabbat or holiday meal in your home for friends, family, and new potential friends. The dinner can be casual or formal and be as large or small as the host wishes. Click the webpage above under contact.